Videology – a leading software provider for converged TV and video advertising – reported that the share of programmatic guaranteed inventory rose from 47% in Q2 2016 to 58% in Q3 2016, confirming marketers’ efforts to lock in premium media supply. Videology’s 3rd Quarter U.K. Video Market At-A-Glance analysis also found that as television and video buying continues to converge, 9 in 10 advertisers continued to buy video ads in the same guaranteed manner as they would TV advertising. According to an analysis of all impressions run through Videology’s platform in Q3 2016, view-through rate remained the priority for UK advertisers and agencies when establishing campaign objectives. 61% of UK advertisers optimised their campaigns towards view-through rate, up from 49% in the beginning of the year, as advertisers seek to reach audiences interested in viewing their video ad in full. As brands continue to plan digital video holistically, 66% of all UK campaigns are running on more than one device in Q3 2016. 71% of all ads served were 30 seconds long, also the most common length for TV ads, this is indicative of how advertisers think of premium digital video and look to run their digital video campaigns in TV like environments. In the UK, the overall viewable rate in Q3 2016 was 55%. Publisher Private Marketplaces reported the highest average viewable rate of 77%. Videology’s Q3 2016 UK Video Market At-A-Glance Infographic can be found here. 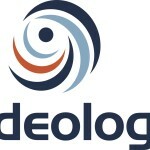 Videology, Inc., is a privately-held, venture-backed company, whose investors include Catalyst Investors, Comcast Ventures, NEA, Pinnacle Ventures, and Valhalla Partners. Videology is headquartered in New York, NY with key offices in Baltimore, Austin,Toronto, London, Paris, Madrid, Singapore, Sydney, Tokyo and sales teams across North America.